Once December 1st arrives snowmen begin to fill my house for the holidays and winter months. 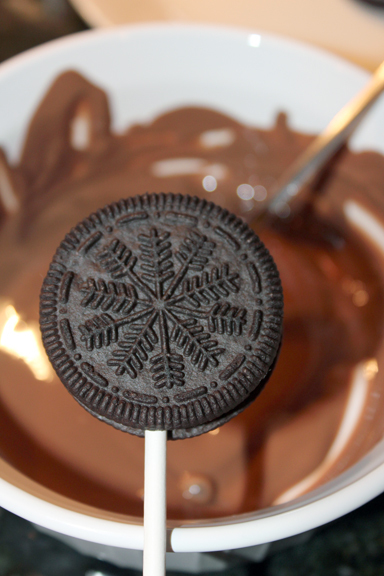 Last week I was at a cake supply store near my parent’s house where I came across the cutest mini sugar snowmen, and later decided to use them on chocolate covered Oreos. 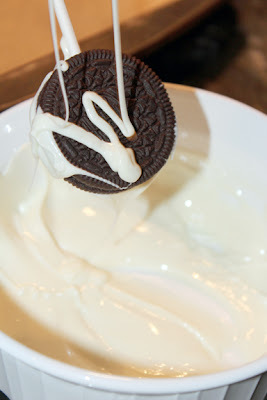 To make: insert a sucker stick into each Oreo (I bought candy cane flavor), melt chocolate and/or white chocolate on defrost in the microwave; 15-second intervals; stirring each time. Spoon chocolate over each Oreo and place on a cookie sheet add a sugared snowman (sprinkles, crushed candy cane …etc) if desired. Place in the freezer to harden (10-15 minutes) store in an airtight container or individual cellophane bags. 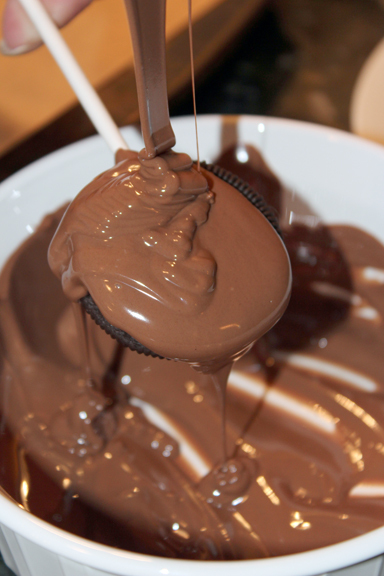 YUMMMMMMY! What a simple festive treat to put together! Ok I think I'm going to have to steal these for a holiay party this weekend! Such a great idea! okay. this sounds so good!!!! 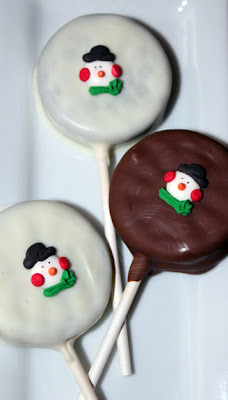 OMG - I just made white chocolate covered oreo pops this week to post for next week! I'll make something else :) How funny though! yum! looks so easy to do.. even I could do it! Yum yum! I always love the Christmas white fudge oreos in the store. I bet these are divine!